Modernism has many adherents and many parents. It began, more or less, in the late 19th century (particularly in France) and flourished in the 20th century (early on, particularly in Italy – Ezra Pound’s admonition to ‘make it new’ probably reflected his italianate longings). Although some point to Kant as the great begetter of modernism, there are folks who were closer to home that can stake a better claim. In France: Édouard Manet, Gustave Flaubert and especially Charles Baudelaire, and rather more globally, Richard Wagner. Nietzsche regarded Baudelaire in this context as Wagner’s ‘intelligent adherent.’ But surely Wagner takes the prize, both in reach, scope, and time. Wagner saw that the death of god meant we could, either: in Chesterton’s phrase, start believing in anything; or make an idol of man; or better yet, transcend the dead flak and flotsam of defeated ‘isms’ and create a new aesthetic. His aesthetic manifested in new forms arising from revivified myths. 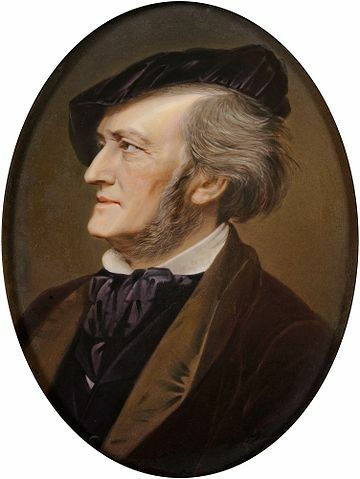 The confrontation between Wagner’s modernism and this post-modern age of ours, results in what we maintain is a decline occurring in high culture. That decline, of which we have often spoken, shows current trends in a particularly poor light. Its most pungent emanation obtains in the revisionism of staging of Wagner Operas, particularly in Germany, where nazi symbols serve as a cat’s paw for anarcho-syndicalism.